Oh! When it was realeased, I dearly wanted to watch it but it wasn't showing in cinemas around me and I slowly forgot. I ended up watching it just last month on a plane and dearly loved it. Although, maybe cos I was on a plane and bleary eyed on a long flight, I kind of wanted the execution to be a little tighter - let the highs be higher, the lows, lower. The ending was, to be honest, a bit of a "wrap up with a pretty bow" kind of ending, but I can't fault it for trying to end it with a feel-good ending. Stupid people at the ended sounded stupid, but then that's what stupid people in real life say too. Still, it was a good heart-warming movie of lonely souls finding each other to gain and give support, and to show that there's still lots of love in this world. And that's all that matters. Stupid people at the ended sounded stupid, but then that's what stupid people in real life say too. I just meant that the stupid-sounding people near the end of the people talk just like how stupid people in real life do. And they're just so infuriating. Na Moon Hee broke my heart and patched it back up again in Just Between Lovers. Her relationship with Junho's character was the most beautiful thing. Clearly I have to watch this movie! You must be reading my mind. That's exactly what I was thinking. Na Moon-hee was terrific in JUST BETWEEN LOVERS. Totally agreed with both of you. I sobbed my heart out for all of them, but especially her. Everyone needs to watch Just Between Lovers. I thought it's a light-hearted comedy. Boy, I was wrong! There nothing in the preview and poster that indicated this movie would bring up one the most painful chapter in Korean history. This movie has its short-comings but still delivered its message brilliantly. The most memorable scene, beside ok-boon's speech in the Congress, was when ok-boon's good friend who had known her for years all of sudden ignored her. Just like ok-boon I thought she couldn't accept her past. Apparently she's angry because ok-boon never shared her pain with her. She felt that she's not a good enough friend for ok-boon that ok-boon didn't trust her. Their reconciliation was very sweet and poignant that the next thing I realized I was sobbing with them. Same. I thought it was a comedy based off of the previews but I ended up crying buckets of tears. Na Mun-hee and Lee Je-hoon were both really great in this film. IKR. I was ready to watch a light hearted movie on my long haul flight and ended up with swollen eyes.😭 So glad I picked this by accident. Hahaha.. I'm also like you. I thought it was a comedy. Dang it. I cried. A lot. Next to a stranger who also didnt slept. Yup, me three. I also thought it will be a comedy but it turned out to be a tearjerker for me. Just like Hello Ghost with Cha Tae Hyun with the twist at the end of the movie. Same here! So I tried to warn people about that in the review without spoiling the reveal, which was very powerful. I guess that's why they marketed it as a comedy, but I dunno. I appreciate some warning about heavier movies so I can go in mentally prepared. I watched this on the plane on a business trip and I was such a blubbering mess when I got to my hotel I had to take a few hours before I could get back into the mindset of working on my presentation for the next day. The movie's bait and switch was unexpected, and as someone who has a grandma who brought me up live through the horrors of the Japanese occupation, the movie's message was so important on a personal level. Korea, your storytelling ability to strip to the heart of issues will always keep you miles ahead of Hollywood for me. Thank you for giving Asian stories a voice. "Korea, your storytelling ability to strip to the heart of issues will always keep you miles ahead of Hollywood for me. Thank you for giving Asian stories a voice." Thank you for the review. Na Mun hee brings life and heart to everything she's in. Now if I can find it anywhere to watch. VIU. 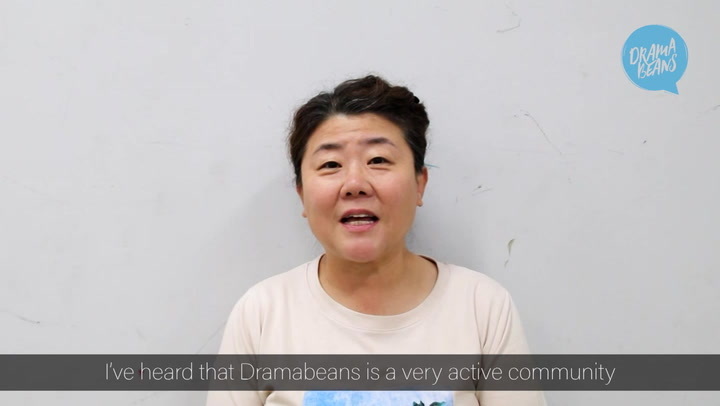 If you have no problem with illegal site, ondramanice and fastdrama have it. Is there a way to determine which sites are legal and which sites are not legal? I have a couple of sites I go to but have no clue whether or not they're legal. Depends where u live. Netflix, Hulu, Viki, Dramafever, Viu, Amazon, Ondemandkorea, Kocowa are a few legal sites. Most others are illegal. Good way to tell is if the subtitles are hardburned and the webpage has ads (not to be confused w video ads), it’s probably illegal. You can stream it via Dramacool or Myasiantv. Highly recommend this movie! I've watched it twice now. I've been just waiting for an excuse to watch this. I am always love and prefer a heart warming movie. Yay for the return of movie reviews! Thanks, Laica-- this wasn't on my radar but it sounds like it's right up my alley. Na Moon-hee is one of my favorite actresses. She often plays "cantankerous but generous-hearted" characters (which she excels at), but the role of hers that stands out the most for me was that of Mi-young in Noh Hee-kyung's Goodbye Solo in which she played a kind halmeoni who, like her I Can Speak character, was hiding a very painful past, but in Goodbye Solo, she literally couldn't speak (she was mute). She has a gift for touching my heart, as well as for making me laugh. I love her. Na Mun-hee. To think I just watched this on the plane and here I see it on dramabeans! I dived into this movie thinking to enjoy a sweet time listening to Lee Je-hoon speaking english but Wow, was I ever wrong to what this show was actually about. It was such a great watch and it left me with much to ponder about the people around us any what sort of life they are living that we are unable to see. LOVED this movie! Such a great story and it was so funny yet heart warming and touching. Definitely a highly recommended movie. Everyone should go watch it. I don't know where you can watch it though. I think I saw it on a flight going to or coming back from Korea. Thank you, Laica, for your review of I CAN SPEAK. It really does sound quite different from the preview that tineybeanie mentioned in her article a year ago, which I seem to have missed at the time. http://www.dramabeans.com/2017/08/devil-granny-na-mun-hee-and-rule-abiding-lee-je-hoon-meet-for-film-i-can-speak/. That very quality of examining the human condition in unexpected ways that you cite in your review is what has kept me coming back for more after I first encountered Kdrama. I appreciate the heads-up. MISS GRANNY was my introduction to Na Moon-hee, who truly is a national treasure. Judging by her recent drama turn in JUST BETWEEN LOVERS, my lachrymal glands will get a workout. A must-see. I already know I'm going to cry my eyes out. Wow! What a surprise! I loveeeee this movie. I went to it thinking it was a lighthearted one and an easy watch. It so was not. The first half made me feel like I was right but then the second half came in and it was a real shocker. It felt a little bit too sudden for me like it was a different movie but thinking back, it wasn't bad at all. It seemed like they advertised it as something else (a more "public friendly" movie) so they can send the message to more people. Definitely needed a lot of tissue for this. I watched this a month ago, and I agree on the tissue part. The last part was so heart wrenchingly beautiful I cried ugly fat tears. A very good watch. I agree with Laica, the shift never felt jarring cos of the editing and acting. I also have the same problem when watching Korean movies: at most times they seem rushed to me and the sudden shifts in plots give me whiplash. Obviously because of the time constraint, but the flow and editing are just, idk. Then the movie is over before the characters could grow on me (1987, Assassination, Secretly, Greatly, etc) and I feel all bereft and empty 'cos I wanted to feel more. This film is heart-warming. I like all characters. Both Jehoon and Na Moonhee's characters are memorable and interesting. Especially Na Moonhee, she totally killed it, well deserved Best Actress of the Year.